CORNER BROOK, NL (August 11, 2018) – Prior to the announcement of the new workforce development and labour market development agreements on Aug. 3, 2018, committing $949 million to the province over six years, the Hon. Dwight Ball, Premier of Newfoundland and Labrador (NL), and the Hon. Al Hawkins, Minister of Advanced Education, Skills and Labour, toured booths by entrepreneurs which are participating in a three-year research project led by the Genesis Centre and supported by funding from the NL Workforce Innovation Centre (NLWIC). The Genesis project titled “Exploring Ways to Foster Innovation in Technology Entrepreneurship through Increased Female Participation and Immigration Initiatives” is one of eight research projects funded to date by NLWIC through the Canada-NL Labour Market Development Agreement. The project explores ways in which the organization can attract human capital from all over the world to come to Newfoundland and Labrador to live, work, and innovate. It focuses on the creation and expansion of targeted, innovative programming based on lean methodology practices to reduce barriers to entry for marginalized groups in the technology sector. The goal is to increase the number of companies with female and/or immigrant founders in NL over a three-year span. 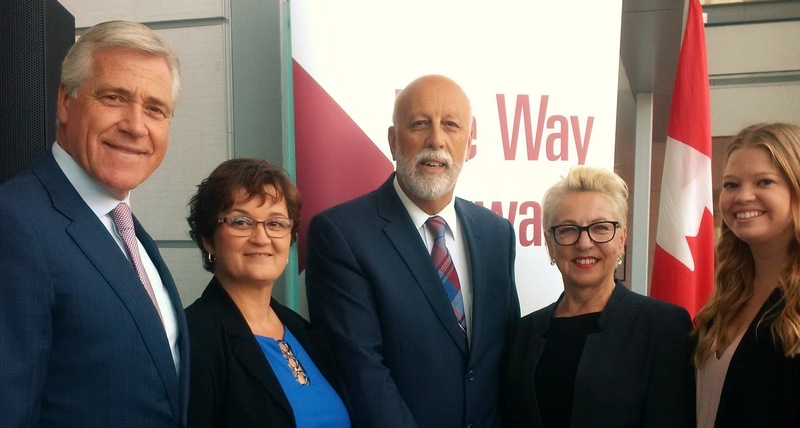 The NL Workforce Innovation Centre is currently accepting proposals until August 31 for research projects on how to address priority labour market challenges in sectors outlined in the provincial government vision document The Way Forward. For more information on NLWIC research projects and how to apply for proposal funding please visit: nlwic.ca or email nlwic@nlwic.ca. The Newfoundland and Labrador Workforce Innovation Centre (NLWIC), established in 2017 by the Provincial Government, and administered by College of the North Atlantic (CNA), provides a co-ordinated, central point of access to engage government, career and employment service providers, skills development organizations and stakeholders in the business and community sectors throughout the province. NLWIC’s goal is to promote the research, testing and sharing of ideas and models of innovation in workforce development that will positively impact individual employability and attachment to the workforce. Funding is provided by the Department of Advanced Education, Skills and Labour (AESL) under the Canada-Newfoundland and Labrador Labour Market Development Agreement. Priorities for research funding are determined by AESL in consultation with NLWIC based on stakeholder feedback and other research.